CRAWFORDSVILLE — Warsaw wrestling alum Kyle Hatch earned Wabash College one of three regional titles and five total berths to the NCAA Division III national championship tournament as the host Little Giants collected a number of top performances at the Central Regional that concluded Saturday in the Knowling Fieldhouse. 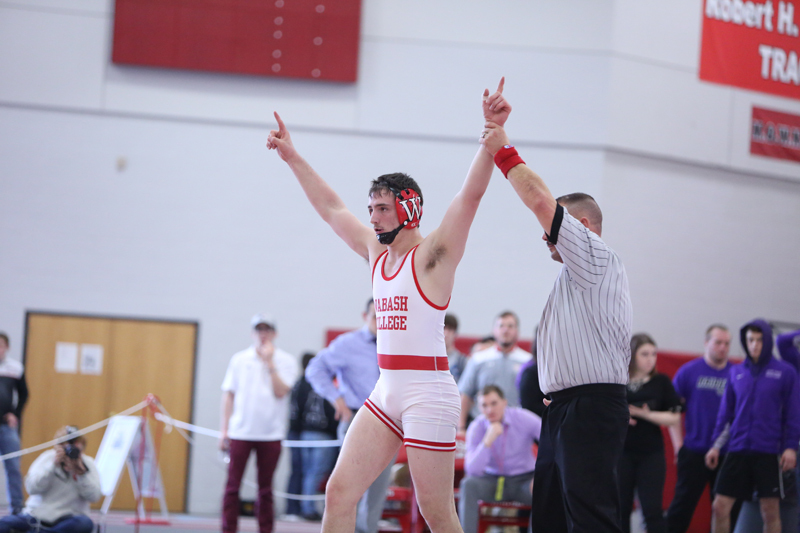 Hatch — a freshman at Wabash who concluded his high school career with a third-place finish in the 152-pound weight class at the IHSAA State Wrestling Finals last year — secured his berth in the national championship event by winning the 157-pound weight class Saturday. Two other Little Giants won regional titles — Owen Doster in the 133-pound class and Austin Bethel at 149 pounds — while Darden Schurg and Hunter Bates finished second at 174 pounds and 184 pounds, respectively, to earn DIII nationals berths. Hatch opened the tournament in dominant fashion, picking up a pin at 3:27 in his first bout Friday and claiming an 18-0 technical fall in just one period to advance to the second round Saturday. He started Saturday with a 12-2 major decision in the semifinal, then won the regional title with a pin at 4:13 in the championship match to move on to the national tournament in Cleveland, Ohio. Wabash finished second out of 18 teams overall in the two-day regional tournament. The Little Giants scored 147.5 points, second to Baldwin Wallace University’s winning total of 165.5 points. Hatch now moves on with his teammates to the DIII National Championship Tournament on March 9-10 at the Cleveland Public Auditorium. The mere freshman is currently rated as the seventh most dominant wrestler in his weight class in Division III, with an average of 4.67 team points per match.